"What is a Statutory Register?" Many people ask "What is a Statutory Register?" You must maintain certain records about the company's directors, shareholders and meetings held. These records are known as the Statutory Register and are in addition to normal accounting records which a company is also required to be kept. Many small companies are not fully aware of the legal obligations stipulated in the various company acts.The Register contains those Statutory Registers mandated within the jurisdictions appropriate company law act. In the United Kingom that relates to the Companies Act 2006. CompanySeal.com produce Company Kits which contain all of the relevant Statutory Register sections which must by law be recorded. Our Company Kits also contain guidance notes for the novice to be able to fill in all the relevant statutory register sections. We produce Statutory Registers which we market as company kits. When Ordering a Statutory Register simply select the company kit required from our products menu and select the appropriate country from the drop down menu. We produce Statutory Register (Company Kits) for over 30 countries, including the following: United Kingdom, Ireland, Alderney, Anguilla, Bahamas, Barbados, Belize, Bermuda, British Virgin Islands, California, Cayman Islands, Cyprus, Delaware, Florida, Gibraltar, Guernsey, Hong Kong, Ireland, Isle of Man, Isle of Man LLC, Jersey , Liberia, Malta , Marshall Islands, Nevada, Nevis, New Brunswick, Panama, St. Kitts, St. Vincent & The Grenadines, Turks & Caicos Islands, UK , Wyoming. A company seal is also a legal requirement and a company should keep accurate minutes of all meetings held. 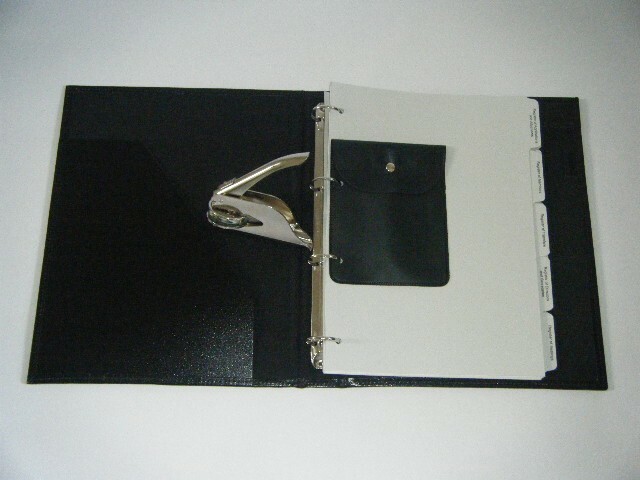 Our Company Kits contain all the sections to meet your statutory obligations in a neat easily managed binder. We ship Worldwide.